The rotator cuff is an important layer of tendons deep inside the shoulder joint. The tendons grasp and surround the head of the arm bone. The rotator cuff is all important in initiating and coordinating all shoulder movements. Why does the rotator cuff tear? Like all other tissues in the body, the rotator cuff tendons degenerate with age. The tendons become thinner and more brittle and are then more prone to tear. Most rotator cuff tears develop as a result of longstanding degeneration. Degenerative tears are common - 25% of all over 70-year olds have tearing of the rotator cuff. These tears develop slowly over a period of many years and can often cause no obvious symptoms. Some tears however can affect the shoulder function and then cause pain and functional limitations. Trauma can also cause tearing of the tendons, particularly shoulder dislocations can cause massive tendon tears. Some tears are a result of degeneration with added trauma. There are different ways of treating tearing of the rotator cuff. The best treatment depends very much on the patient's individual circumstances. Factors like age, occupation, hobbies, functional demands, handedness, comorbidities, scan findings etc will help determining the ideal treatment. Physiotherapy: A comprehensive programme of exercises can help patients gaining better pain control and function. Physiotherapy doesn't heal the torn tendons, but helps patients recovering by addressing several factors like postural abnormalities, muscle imbalances and abnormal movement patterns. Patients will have to carry out daily strengthening exercises over a period of a few weeks to make the treatment a success. For patients with high pain levels a steroid injection can pave the way to successful rehabilitation. Arthroscopic Rotator Cuff Repair: This is the preferred option for most patients of working age or retired patients who still enjoy a very active lifestyle with high functional demands. Via keyhole surgery the torn tendons are reattached to their bony insertion point. This is achieved by using sophisticated instruments and bone anchors. It takes a long time for the tendon to heal fully and the rehab process following surgery typically takes several months. Can all rotator cuff tears be repaired? Tendon Retraction and Mobility: When the tendon tears, the torn end will very slowly retract. This is a slow process in most patients. The more the tendon is retracted, the more difficult the repair. 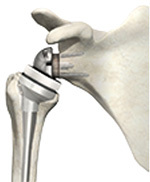 Some retracted tendons are still very mobile and can be repaired. Other tears might not have enough mobility and excursion to allow for a successful repair. Tendon Quality: A nice chunky tendon will allow for a stable and solid repair. If the tendon is thin and brittle, a repair may not be possible - the sutures used to repair the tendon will simply cheesewire through the tendon and the repair will fail. Fatty Muscle Atrophy: Once the tendon is torn, it will stop transmitting forces. This will result in the slow degeneration of the muscle that would normally power up the tendon. This process is known as fatty atrophy: the muscle shrinks and increasingly more muscle fibres are replaced with fat. Age: Older age typically goes along with increasingly poor tendon quality. The turning point when tendons are increasingly unlikely to be amenable for a successful repair is probably somewhere in the mid 70's, but there is a wide individual spread. More advanced age also results in a diminished healing response. Without an adequate healing response, the tendon will not heal and the repair will eventually fail. Smoking: This badly affects the blood circulation in the body and thus results in a diminished healing response. The risk of the repair not healing and therefore failing I increased. What happens if the tendon can't be repaired? Physiotherapy: Even in irreparable rotator cuff tears Physiotherapy can help improving pain and function. It takes a determined patient and an experienced shoulder Physiotherapist to make this a success, but many patients do well enough to avoid further surgery. Latissimus Dorsi Transfer: This involves opens surgery to transfer the tendon of the big latissimus dorsi muscle to a different bony insertion point in the shoulder. The idea is to substitute the torn tendon that can't be repaired with a healthy tendon nearby. Surgery is followed by a lengthy rehab process and can result in less pain and improved function. Few surgeons carry out this type of operation. Best for patients on their mid-50's or younger. 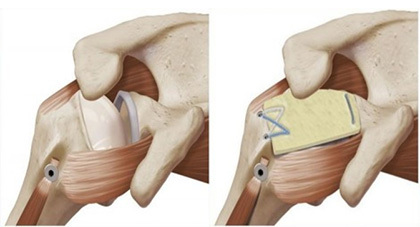 Patch Augmented Rotator Cuff Repair: An artificial patch can be used to augment and reinforce a tendon repair, that would otherwise be of borderline strength and therefore at high risk of failure. This is highly specialised work and is only carried out by few skilled surgeons. Superior Capsular Reconstruction (SCR): This is a different way of using artificial patches. When the tendon can't be repaired, a patch is used to bridge the gap left by the torn tendon. This aids in the better distribution of forces in the shoulder and can help patients to get a better shoulder in an otherwise difficult to treat problem. Similar to patch augmentation this is very complex surgery only carried out by few highly skilled shoulder surgeons. 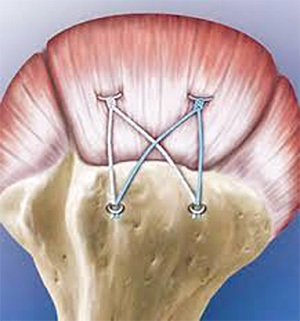 Subacromial Balloon Implantation: This is a fairly new treatment originating from Israel. 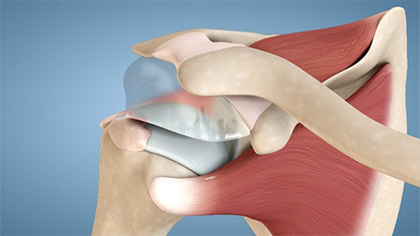 Via keyhole surgery an inflatable balloon is implanted in the subacromial space. The balloon acts as a spacer between the head of the arm bone and the bony shoulder roof. The balloon helps reducing pain and improving function. Even though the balloon eventually biodegrades, most patients will still see long-term benefits from the treatment. Typically used for older patients, although the precise age range is still hotly debated. Reverse Shoulder Replacement: This is the ultimate solution when nothing else helps. Typically used in older patients. Obviously a much bigger job but offering fairly reliable pain relief. Functional outcomes can be difficult to predict though. This will require a careful and detailed discussion with an experienced shoulder surgeon as well as your Physiotherapist to determine the best choice for any individual patient. Several options exist, and decision making can be a lengthy process. This should take into consideration various individual patient factors, scan findings as well as the unique characteristics of the different treatments available. A down-adjustment of expectations is often required - none of these treatment options are perfect and all come with their unique advantages and disadvantages as well as potential risks and complications.